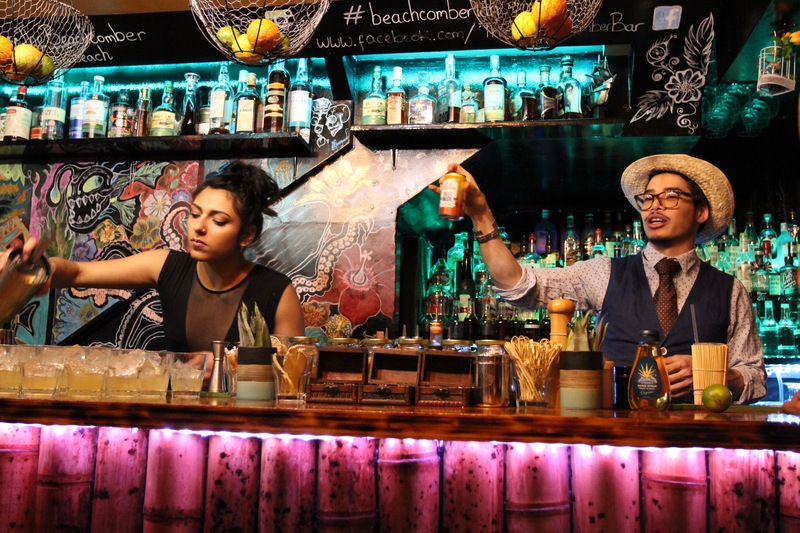 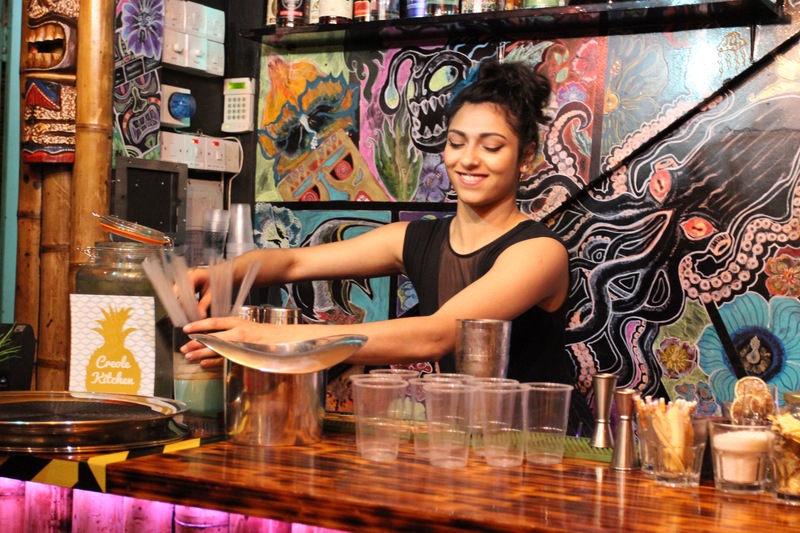 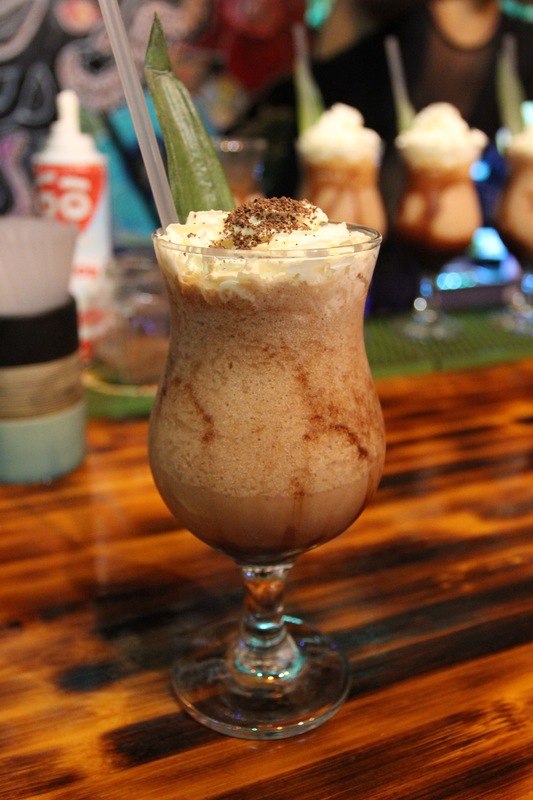 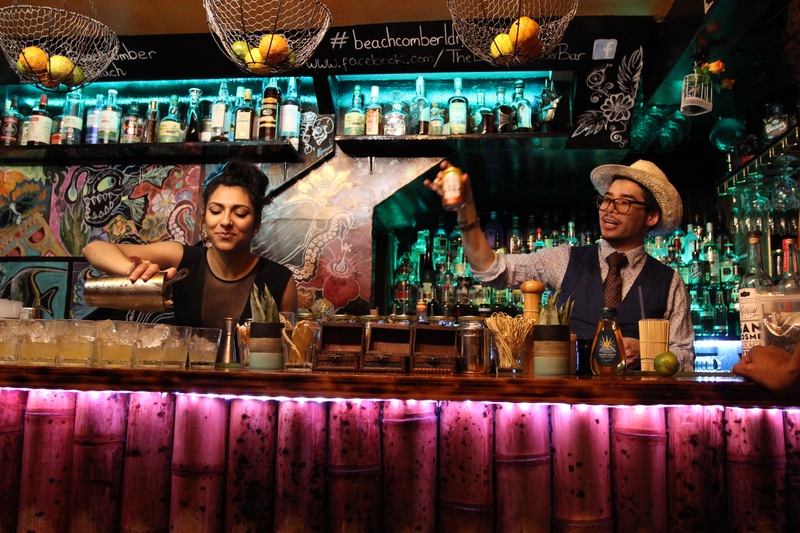 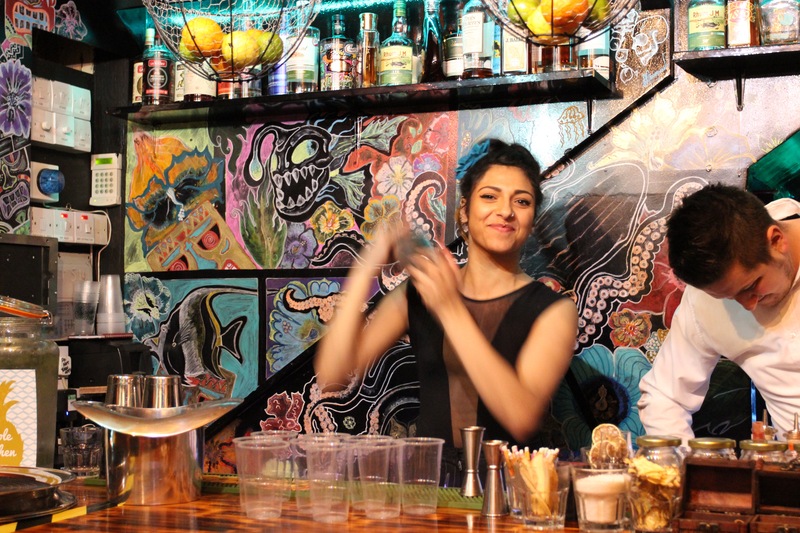 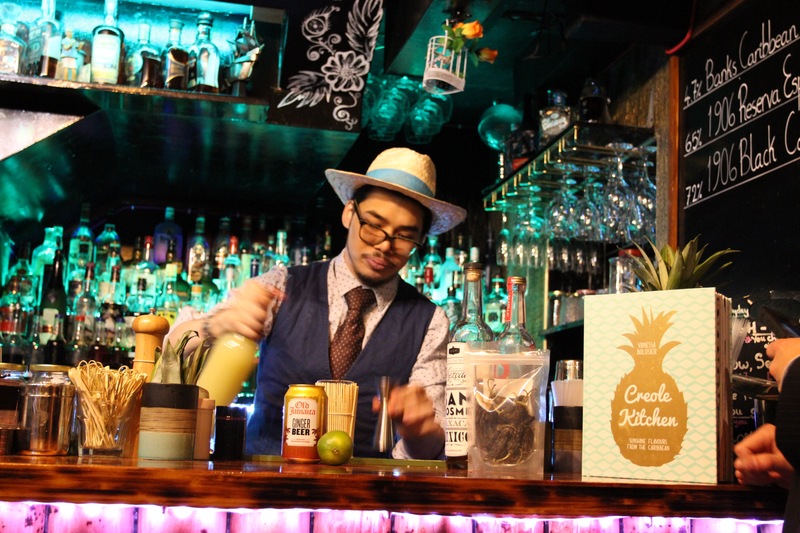 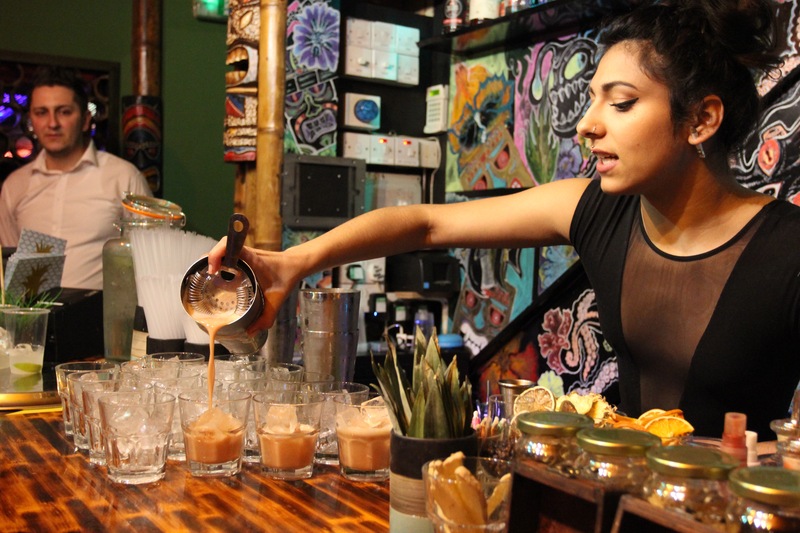 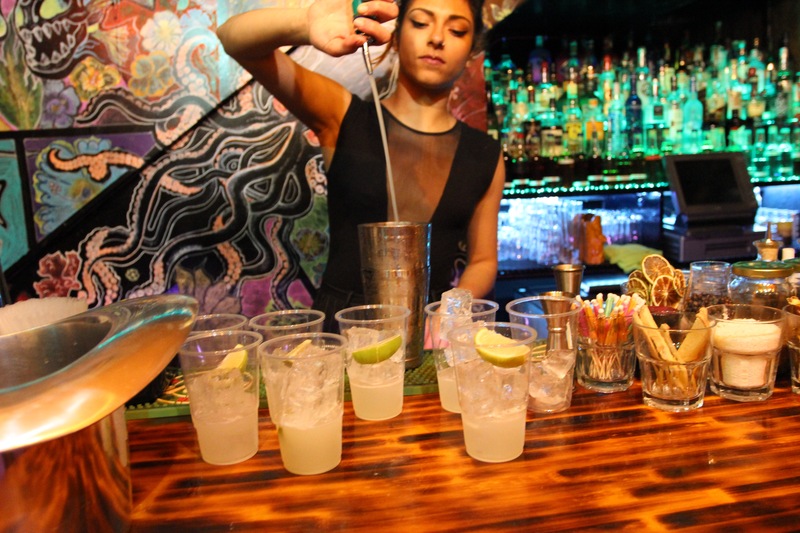 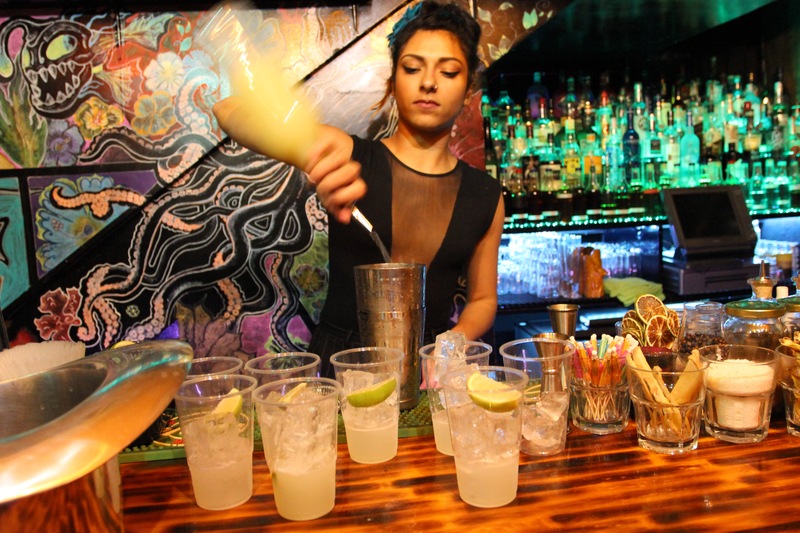 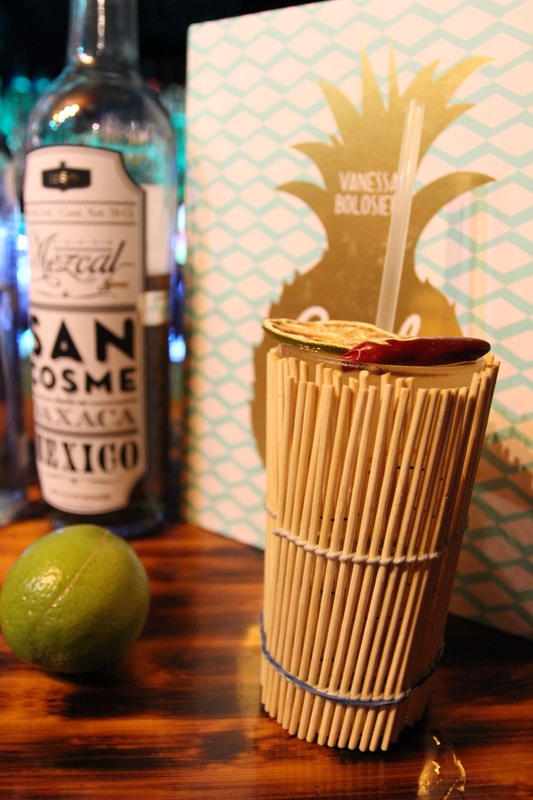 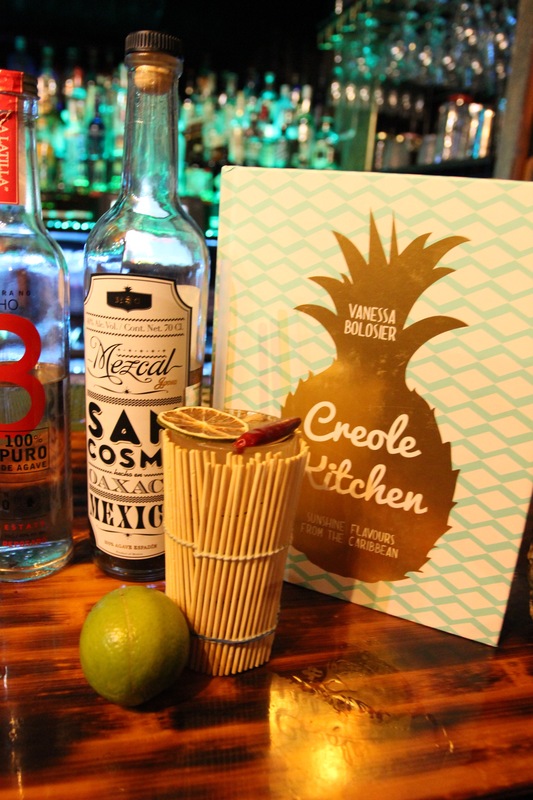 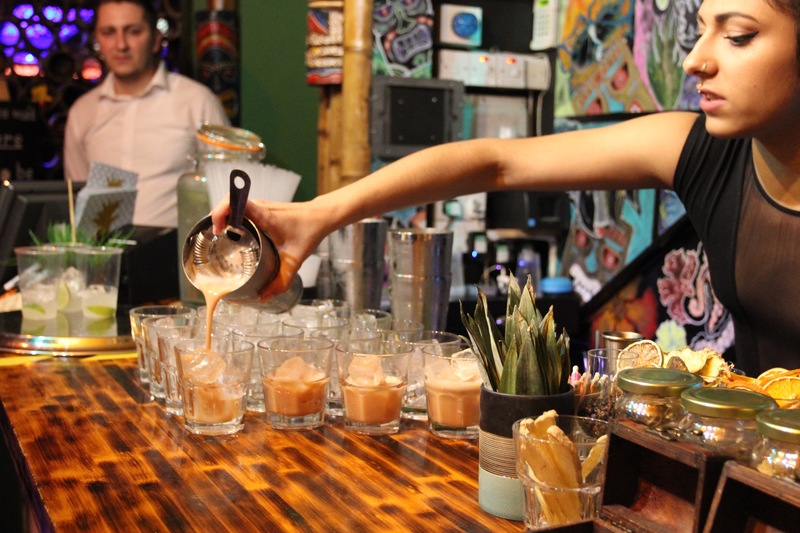 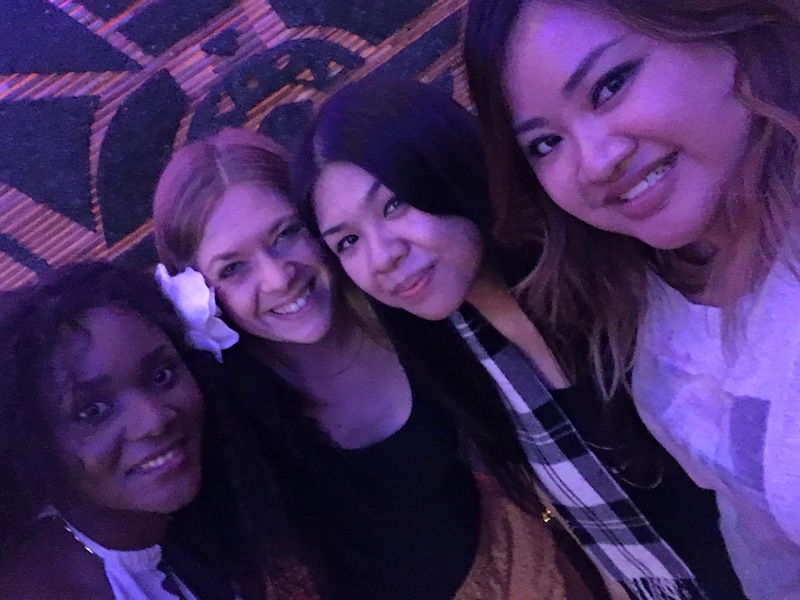 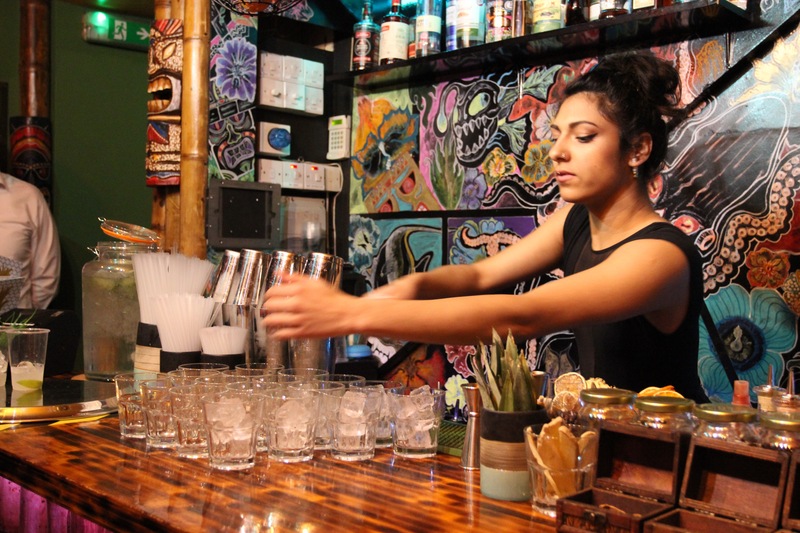 Vanessa Bolosier pop up chef and author of Creole Kitchen has teamed up with fun tiki bar The Beachcomber for a combination of Caribbean small bar bites delights and exotic theme drinking in Bayswater. 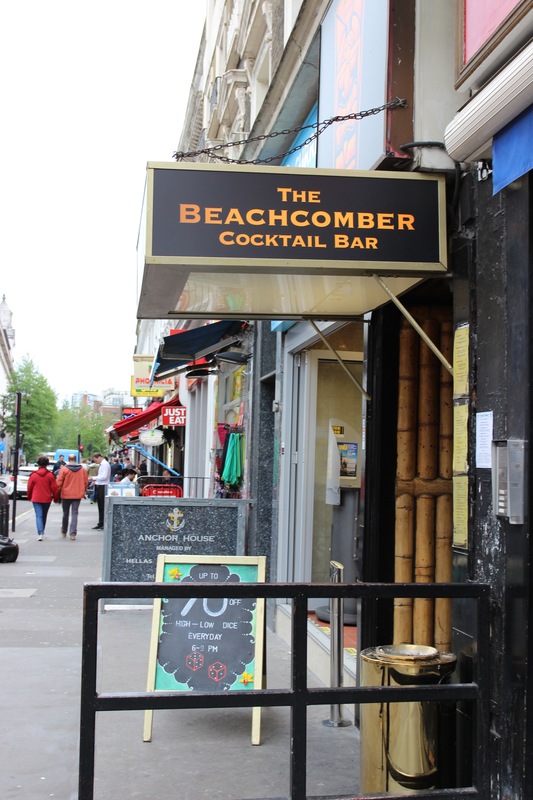 I’ve been passed The Beachcomber many times along Queensway the wooden bamboo shoots on the outside and tiki mask logo was a dead giveaway to what type of bar it is. 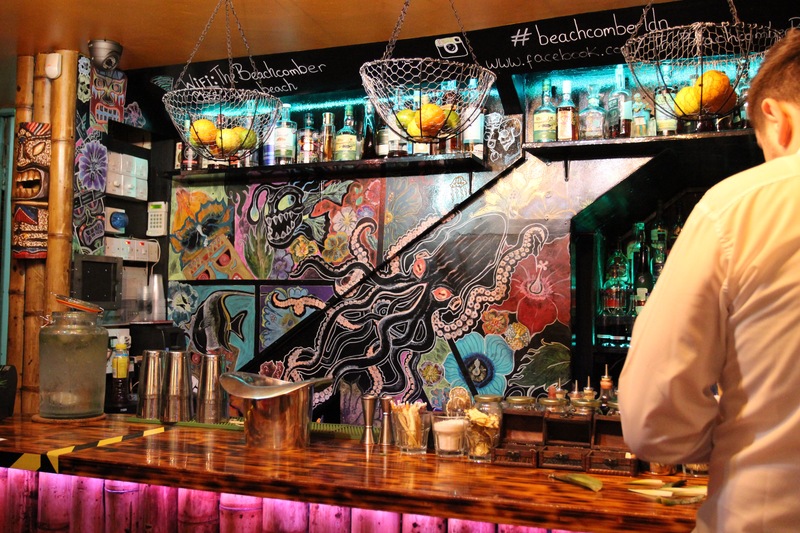 I was invited along to the press night launch of the collaborations. 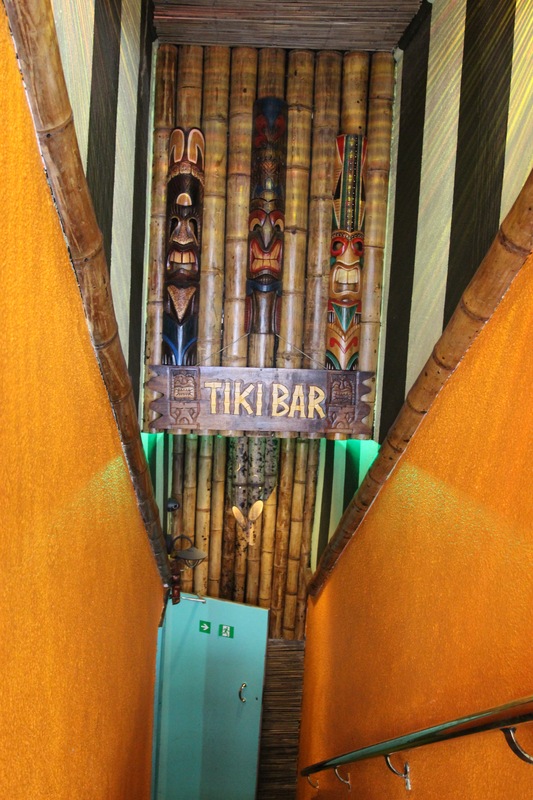 Descending down to the basement I was greeted with a warm welcome of colourful lights. 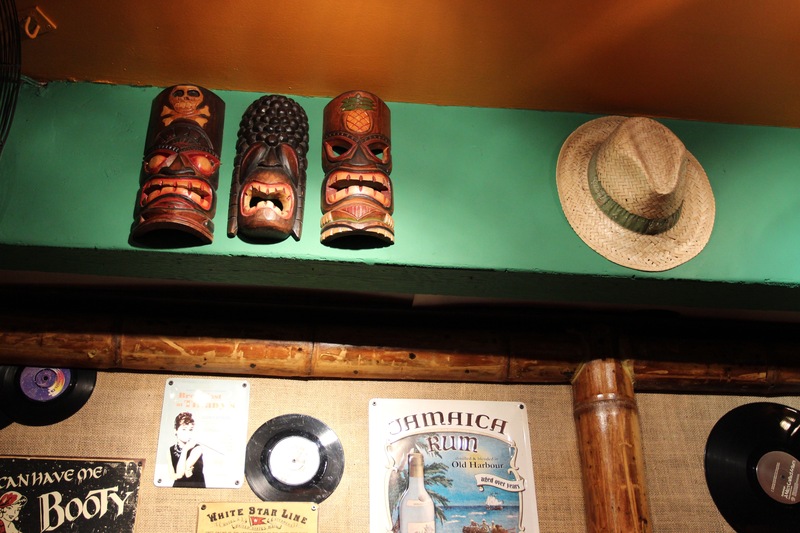 Tiki masks, straw hats, old vinyl records and posters seated along by the table near the bar. 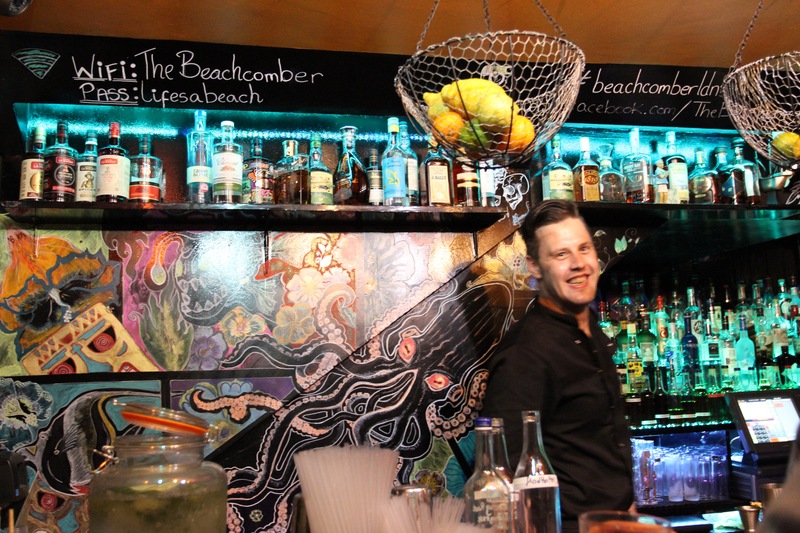 Now the history of Tiki bars started with LA the earliest and best-known tiki bar named Don the beachcomber. 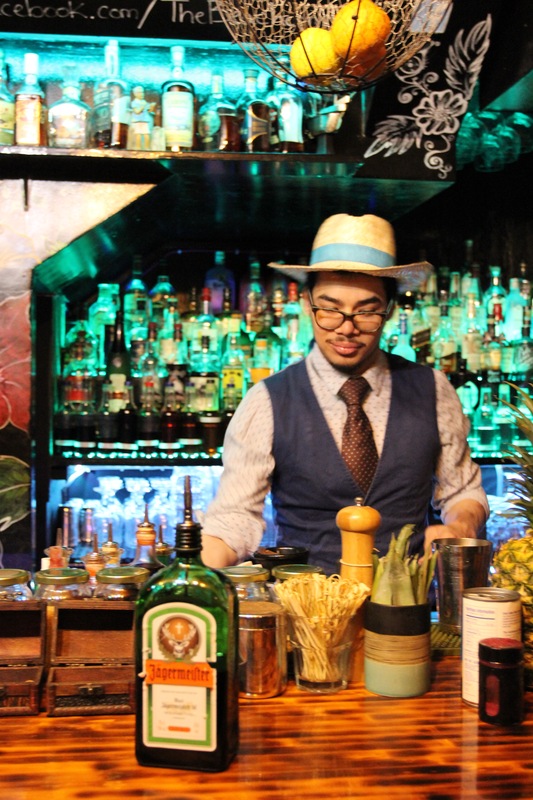 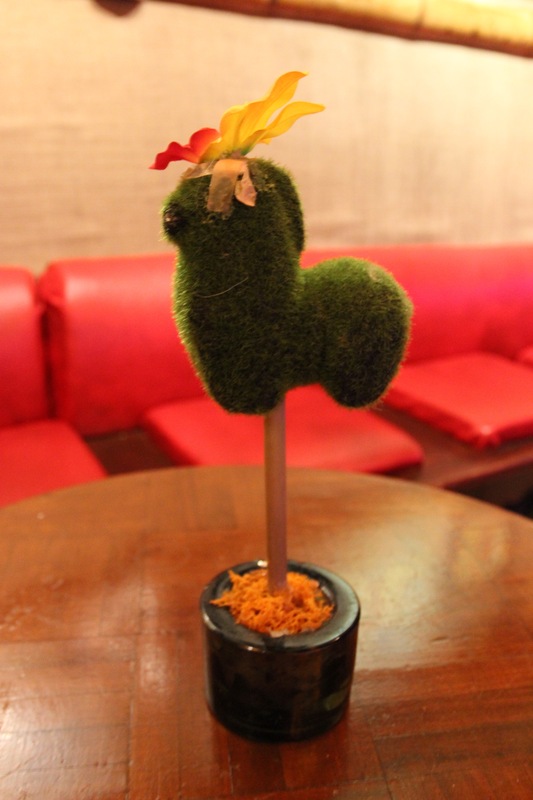 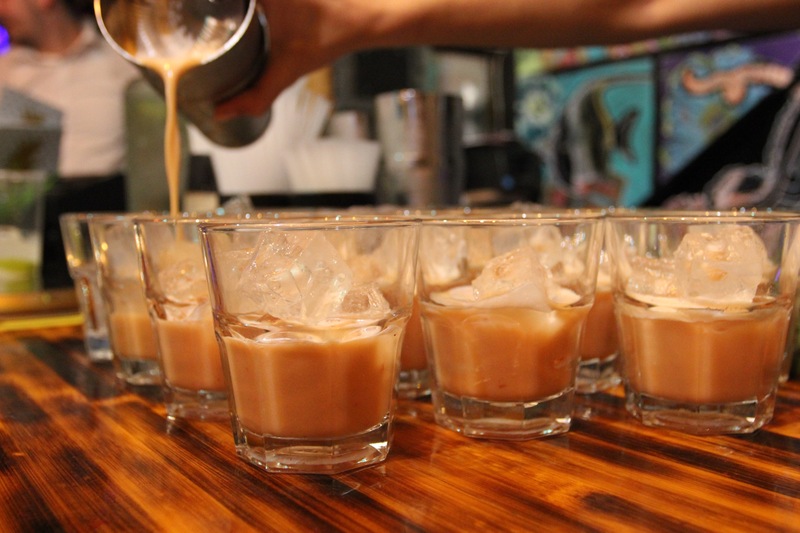 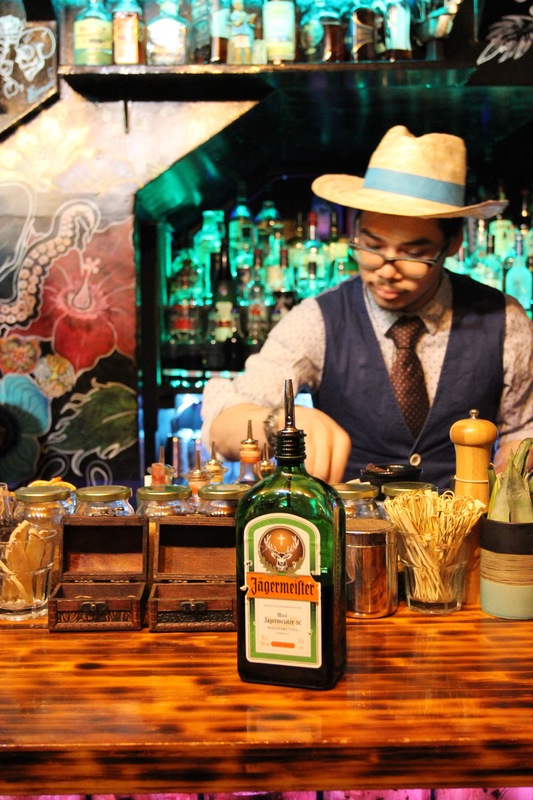 The well-known zombie cocktail was born and created at this very bar. 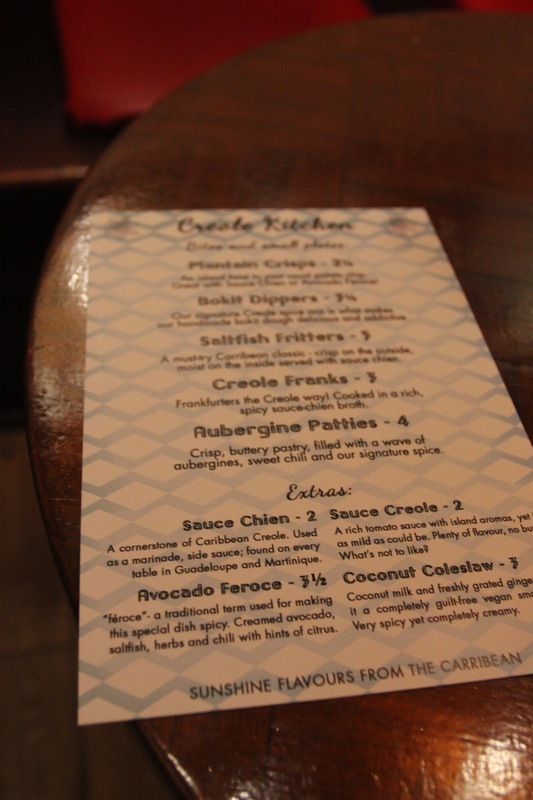 We were treated to everything on the Creole Kitchen bites and small plates menu. 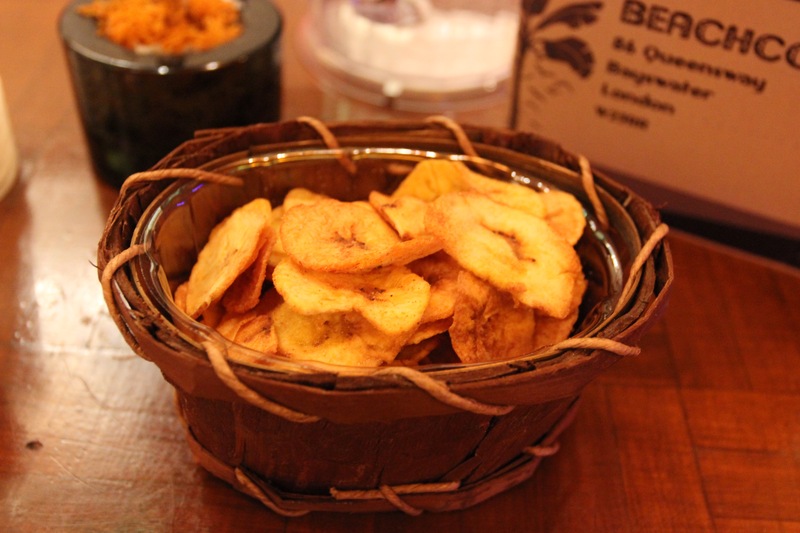 Addictive plantain crisps, best dunked into any of the homemade sauces. 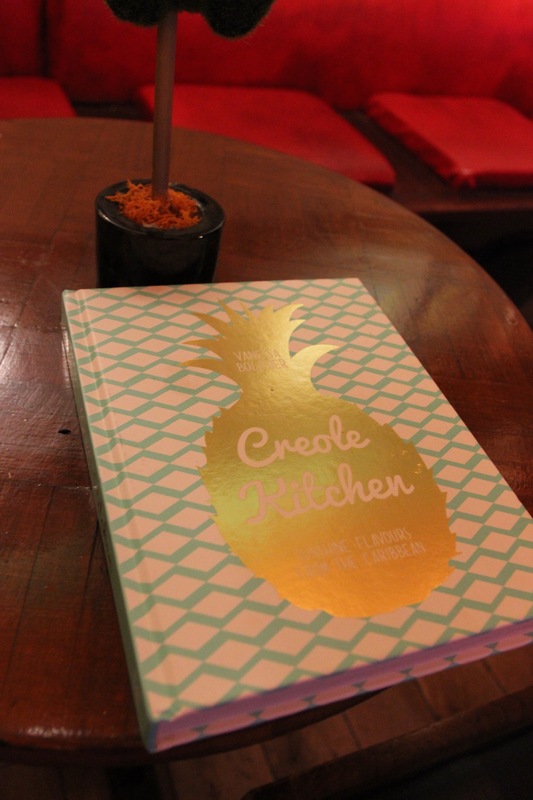 Highly recommend sauce creole and avocado ferace. 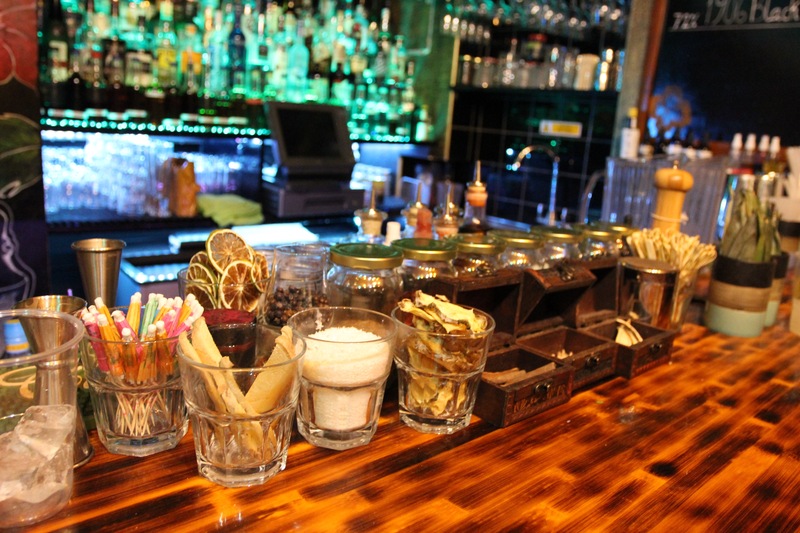 Don’t judge the coconut coleslaw it packs a punch in the spice department. 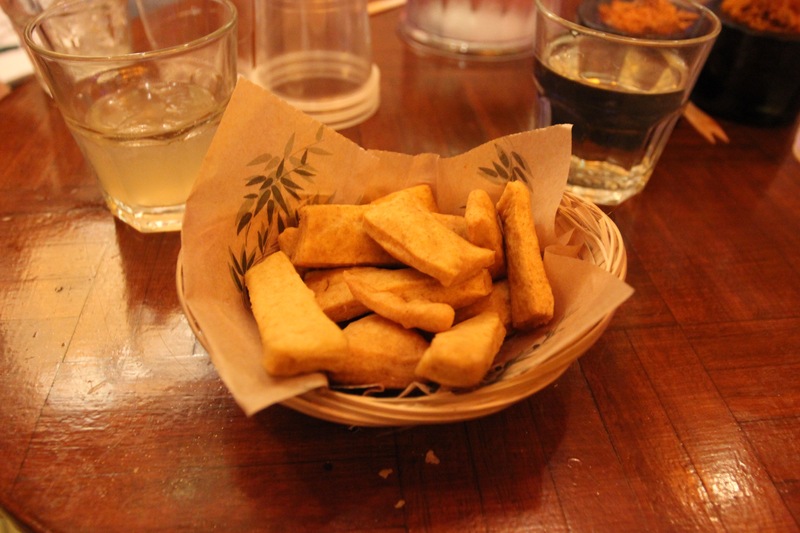 Bokit dippers remind me of Chinese youtiao dough sticks but not as crispy and greasy. 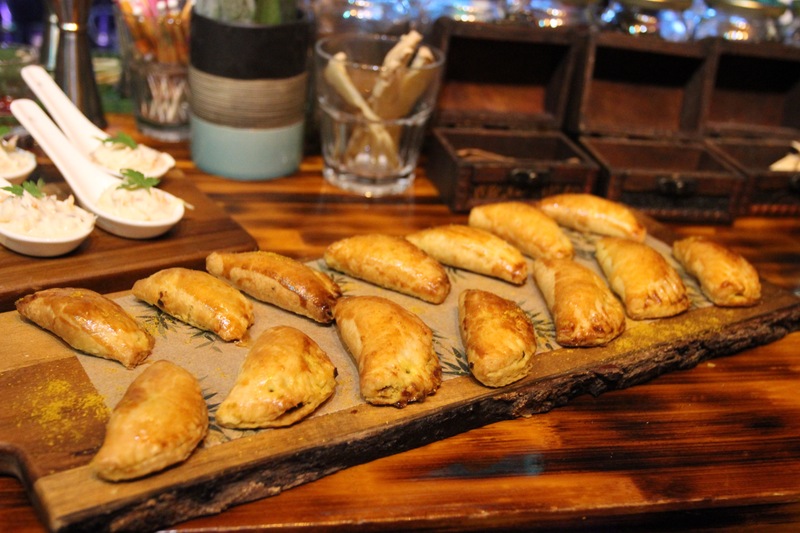 Aubergine patties use a buttery short crust pastry with yummy veggies and sweet chilli spice. 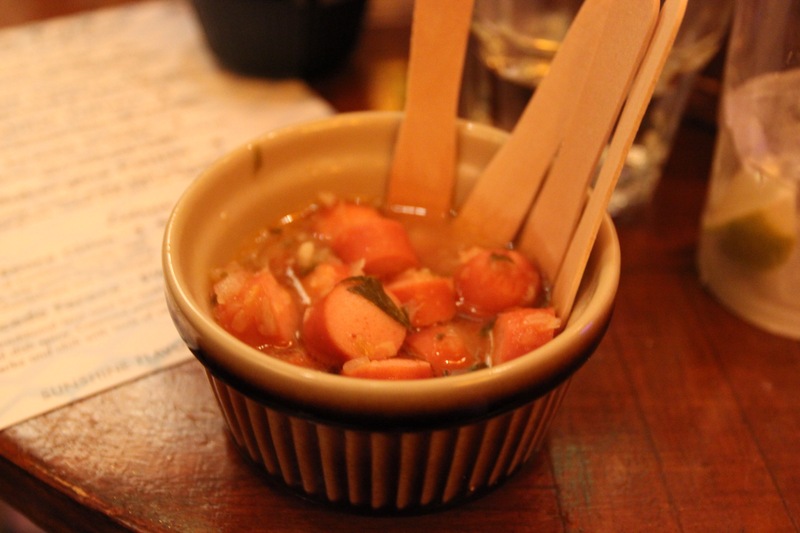 Creole franks are basically frankfurters cooked in a spicy chien broth. 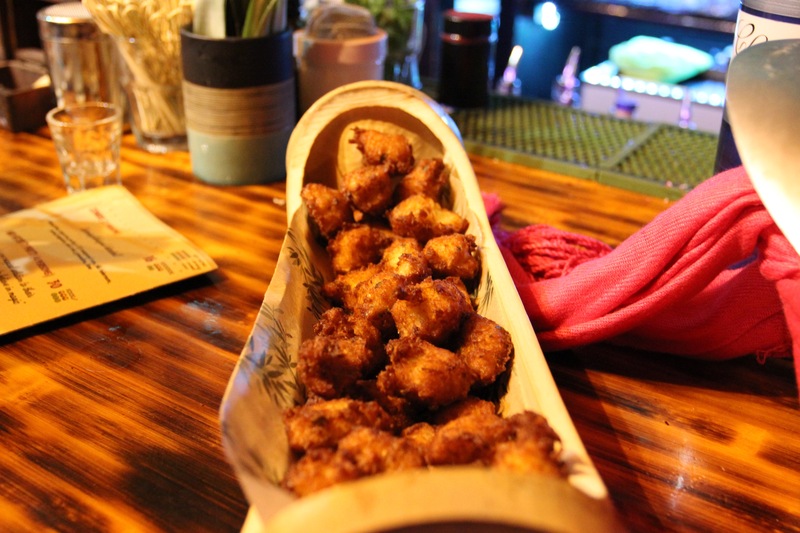 My absolute favourite are the saltfish fritters, so crispy on the outside biting into a minced up fish. 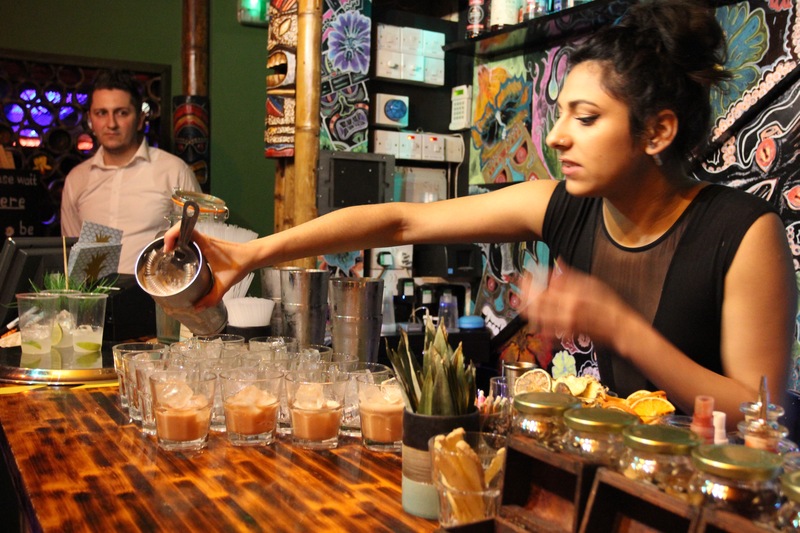 Of course, the drinks lived up and paired well with all the food. 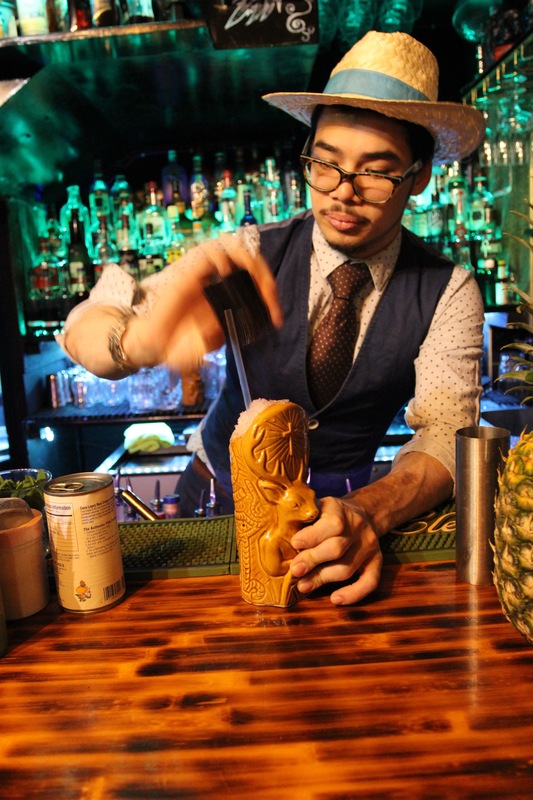 Every single drink was beautifully presented in a fun way. 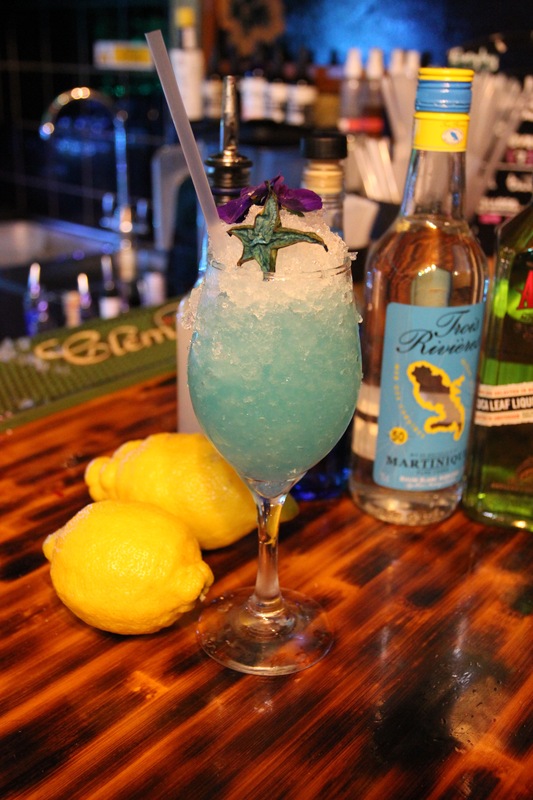 Agwadisiac a bright blue boozy slush cocktail. 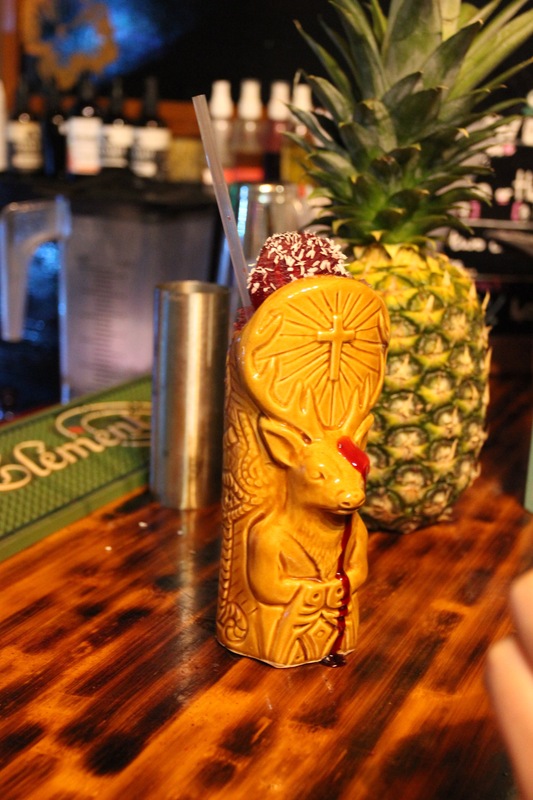 Root 666 served in the new Jagmeister cup with crazy ingredients like beetroot, lemon, pineapple and salt. 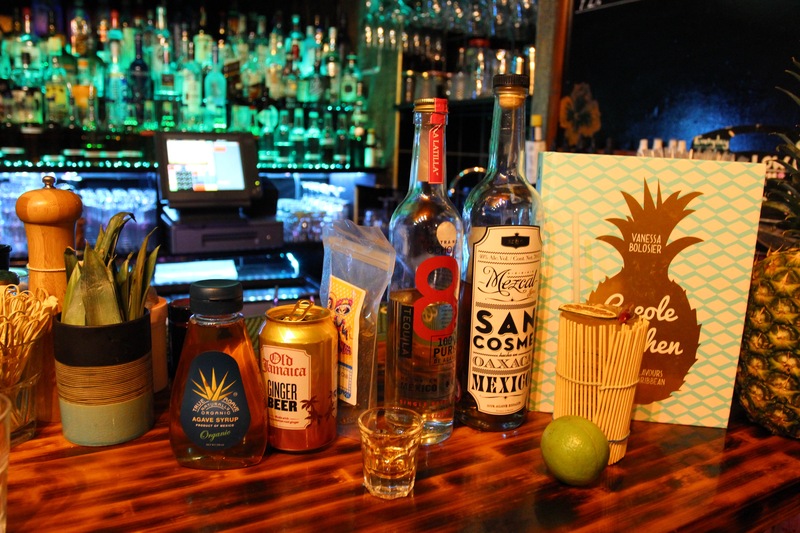 Suffering gringo is that spicy one, ocho tequila, jalapeno, agave, and ginger beer. 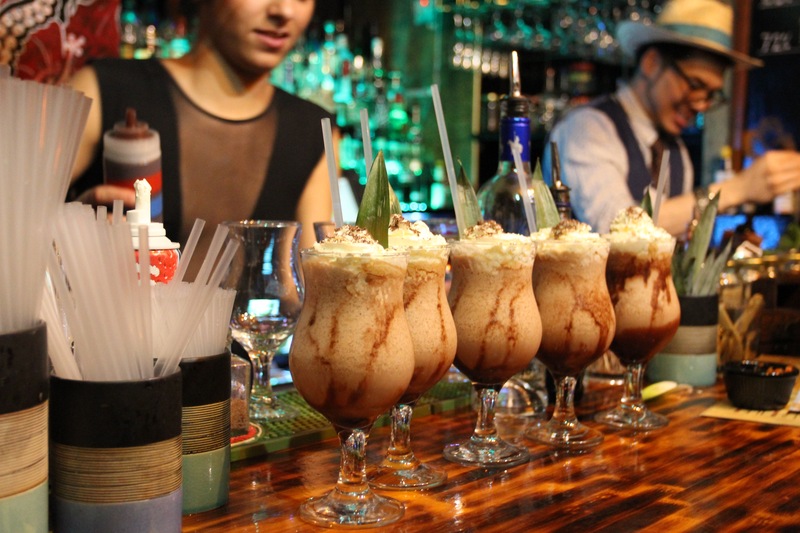 There was one that tasted like a chocolate cake dessert in glass, and if you’re having a party why not get a sharing cocktail. 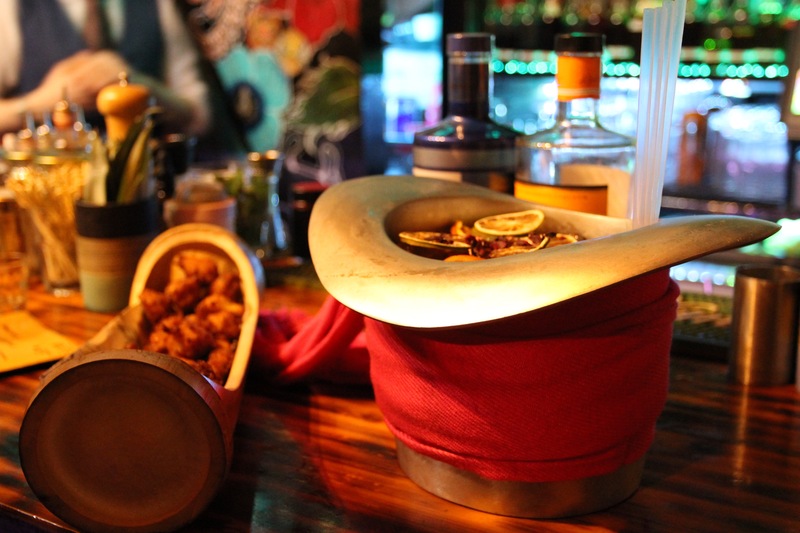 The mad hatter ti party is served in a metal hat enough to share between four people. 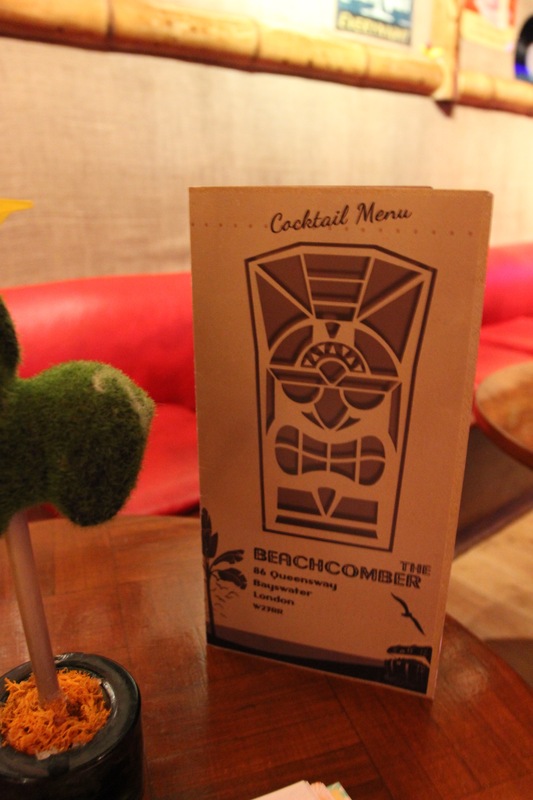 The Beachcomber makes a great hangout for cocktails for under £10 and bites for under £5.